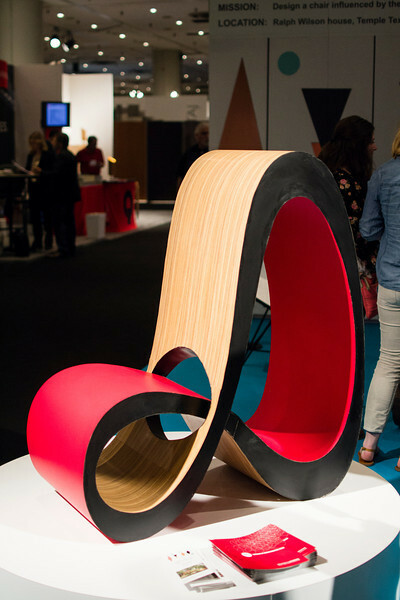 BlogTour sponsor Wilsonart wowed our team with their huge commitment to support up and coming design talent at ICFF. 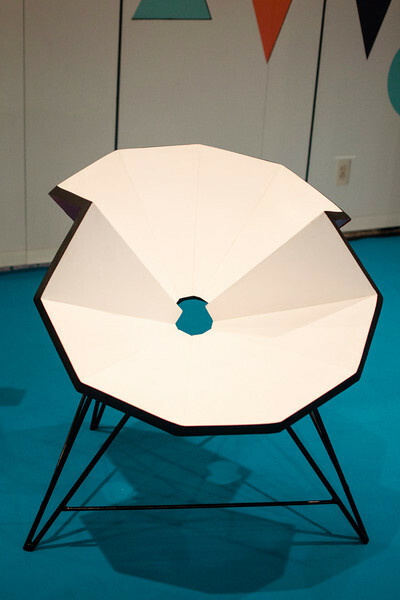 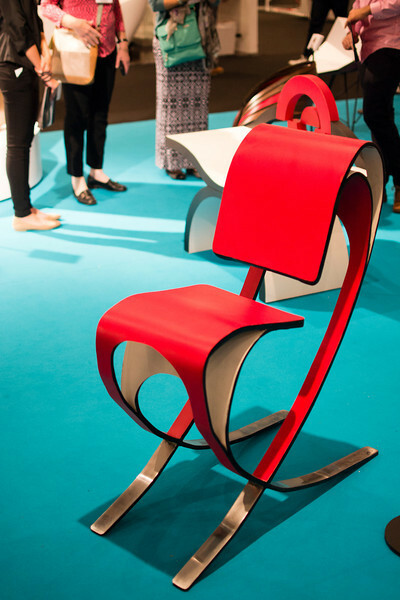 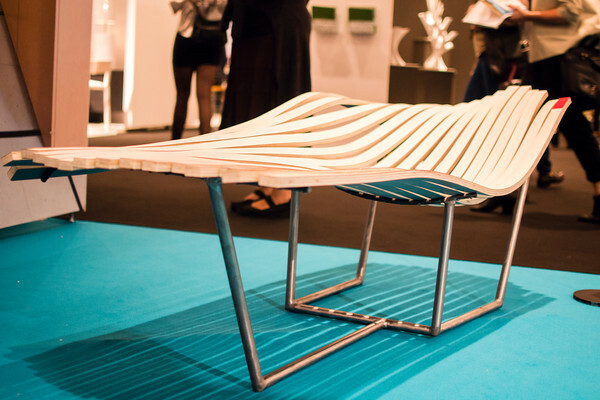 The company devoted two full booth spaces to “Wilsonart Challenges” an initiative, now in its 10th year that, well, challenges design students to combine their creative and technical skills to create chair designs that push design boundaries. 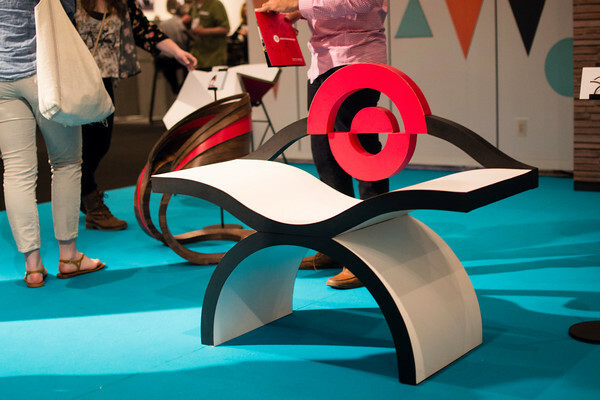 The designs were all stunning and we can only imagine the difficulty the judges were faced with as they selected this year’s winner – Jenny Trieu. 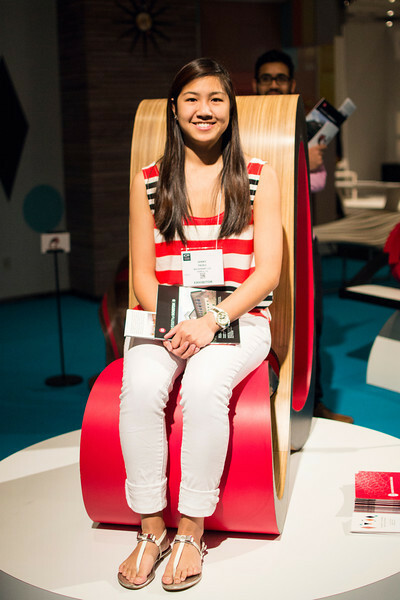 The proud winner, Jenny Trieu, was there to share her vision and design concept for her chair “Infinite” . 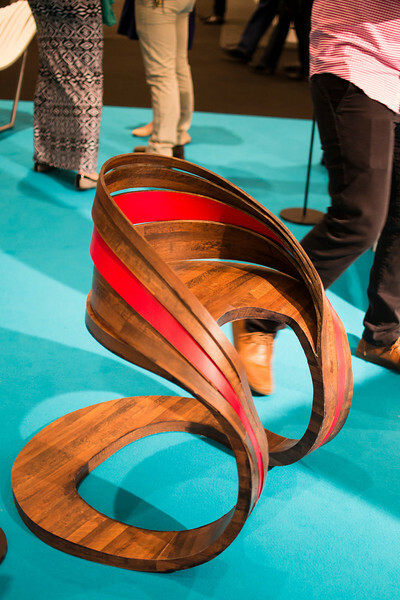 Jenny Trieu’s Infinite Chair – A perfect interpretation of laminate’s ability to flow seamlessly over great lengths with the selection of wood grain laminate emphasizing the concept even further.